It’s All Morse To Me will trace the history of wired to wireless telegraphy, and be accompanied by a Morse code workshop where visitors will practice their sending skills on a refurbished 1940s telegraph key. Come to the Sarnoff Collection on Sunday, May 27 at 1:30 pm for It’s All Morse to Me, a pop-up exhibit about telegraphy. 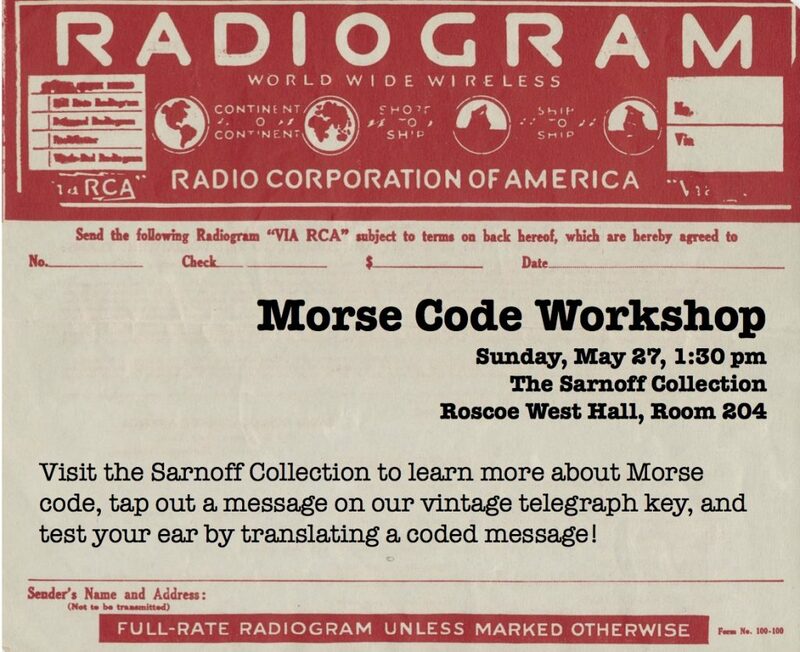 Come for an informal lecture about the history of wired to wireless telegraphy, and about the place that wireless telegraphy had in the early history of RCA, then stay for a Morse code workshop to learn about the electrical principles behind a telegraph sounder, to tap out a message on our refurbished 1940s key, and to test your ear by translating a Morse code message.